The album features five new compositions, one of them the arrangement of a classical piece by Arcangelo Corelli. Like the first four releases of this series, the album is released in a cardboard sleeve instead of a jewel case. 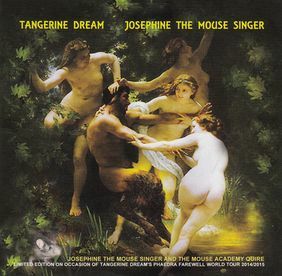 The mini-album is based on Josephine the Singer, or the Mouse Folk (German: Josefine, die S�ngerin oder Das Volk der M�use), the last short story written by Franz Kafka. It deals with the relationship between an artist and his audience. Only a few days after the tour was finished, the CD became available via the Eastgate shop, as well as MP3 download at the Tangerine Dream Download Shop.